Now they know that power has changed hands. This is no more the era of threatening people and clubbing them to silence. This era of revolution has positively straightened crooked paths made by the so-called ruling councils, elder statesmen, corrupt politicians, sitting on power as if they are glued to those seats. 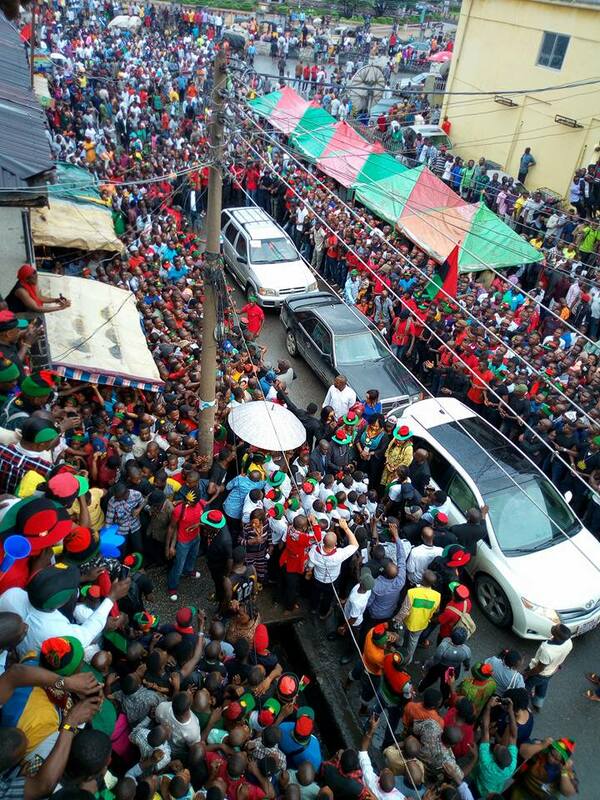 The revolution has started right now and here in Biafra. It is extending to the North and this is a welcome development. As the Arewa youth have written to their elders and politicians, I cannot but notice with joy their choice of words when they clearly declare war on anyone who agrees to restructure Nigeria. The threat to kill their own even at the expense of their own lives. They categorically stated that the era of sheepishly obeying and blindly following unfavorable orders had passed. Kudos to this revolution which has come to stay. They had spoken only in tones best known to them; the spillage of blood. This letter which ended with a powerful advise to the erring politicians and today we all see the result of their threat as restructure died at the Senate assembly. The Biafra agitation which has metamorphosed from a tagged noise making adventure into a mighty army of an indigenous people who are unwavering, fearless and unstoppable, a people who without arms and ammunition have organized and united in heart around the globe. This revolution is now a force to reckon with, making impacts with peaceful acts and demands. Her demands are legitimate, though denied by a cowardly and lazy concocted Luggard created country, Nigeria. The revolution has surpassed any kind of threats or forceful intimidations. It has given birth to wailing, ailing, begging and failed political leaders and governors, even Ohaneze, for they now fear for the consequences of their atrocities and betrayals of the trust embedded in them all these years. I see a bunch of failures, confused and struggling to kick back life already stifled out of them. I would rather counsel that they peacefully join in the people's mandate and resolution or wait for damnation as it gradually approaches their domains. The 'No election' order in Biafra is no joke, the warning of the militants is for real, the resolve and unity of Biafra is sealed. Millions have willed and spoken it. The voice of the people is that of the God. God came down in Afara-ukwu as in the olden days, confirming his support and choice in Nnamdi Kanu. What else do they need to know that Biafra is real? The courts have been dazed to silence, having no offense to judge. The military are defeated permanently and still trying unsuccessfully to defend charges slammed on her by Amnesty International. Nostradamus had prophesied the emerging of Biafra many years ago and she has come. Even the alleged enemies are now chanting "let them go"
Pharaoh tried to stop the impossible, and he paid dearly for it. Same will happen to anyone who stands in her way. For the undecided, this is the time to head home. Join forces with us as we reclaim our heritage. Great Multitudous of IPOB are the read maps to revolutionary spreading now in Nigeria. ..resulting fears for Evil wickedness of pasthma and present Fantastically CORRUPT looters.